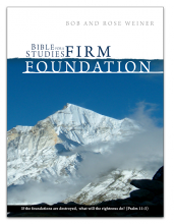 Click the button below to add the Bible Studies for a Firm Foundation by Bob and Rose Weiner to your wish list. Bible Studies for a Firm Foundation has been a vital part of the training we give to new believers here at Bethel Church in Redding, CA. We also use this to introduce more seasoned believers to the truths that are important to us as a church family. It truly provides a solid foundation. I’ve used these materials for well over 20 years and have been very thankful for Bob Weiner’s labor of love in writing this study guide. 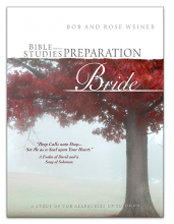 Bob and Rose Weiner's Bible Studies have helped countless thousands of new believers become established on sound Biblical truth. We have also found that believers of all ages have benefited greatly from them. Many even go through them once a year to strengthen their foundations. It is understandable that they are now considered a standard for such studies. "If I were a pastor, I would want every one of my church members both young and old to study, absorb, and apply the basic truths found in this amazing workbook. I can assure you I would be leading a world changing congregation." Many top pastors have taken Dr. Wagner's challenge and have found that the members of their church have been launched into a deeper walk with God, into great faith, and into new levels of productivity, commitment and financial prosperity. "I highly recommend Firm Foundations for every new believer to build their Christian faith and help them grow and thrive in their relationship with God. Mature believers will also benefit from these studies. They will renew their spiritual foundations and their covenant with God and grow deeper in their faith and the power of the Holy Spirit." "We can't say enough about your Bible Studies for a Firm Foundation and what it has mean to our Christian walk... it has been life changing! A few years after coming to Christ we decided to go to seminary. It was intimidating, since we had only been Christians for a few years. However we were amazed at the 'firm foundation' we had from your study and realized that we were much more prepaired and had a better understanding of basic Bible principles than most people there!" "Thirty years ago Bible Studies for a Firm Foundation laid the foundation in my walk with God and set the course of my life! I have found these studies to stand the test of time, and I am so excited to see new believers and young adults in our church learn from the same foundational studies that I did. There is not a series on the market today that imparts the whole truth like these studies, as well as imparting the life of God and His power. This emerging generation will be mighty in truth and strength thanks to these foundational studies." "I have been teaching from the Bible Studies for a Firm Foundation for over 20 years now. I have also tried many other resources over the years but continue to come back to this book. I believe it does the best job of rightly dividing the Word of Truth. I love the fact that the Weiners use the Word of God to teach the Word of God rather than filling page after pafe with man's opinion of the Word These books have ministered to students of every age and naturity level that I have worked with. There have been groups with new believers studying along side mature life-long lovers of our Lord who have been in the Word for decades. All have learned, received and grown through these teachings. i will continue to use and recommend this book as longas I am teaching and learning. May God bless this study richly! - I give this book 5 stars!" I use this Firm Foundation book to teach new people coming into our church. They come from all different kinds of churches and don't really know what the Bible really says. This book gets us all in one accord. I have used Bible Studies for a Firm Foundation to lay a foundation for people coming into our church. They come from all different backgrounds and churches and this book gets them all in one accord on what they believe. I also use it to send to those in prison when we can't get in. This book has opened my eyes to the infinitely wonderful value of simple truths in the Word of God! I have bought some of my closest friends this book, and I can already see a difference in their lives as well! 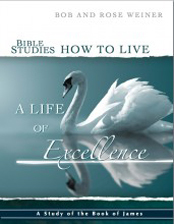 This is a fabulous study for anyone who is thirsty for the knowledge of Jesus! Thank you Mrs. and Mr. Weiner! We've used the older version of this book for years. I love the updated version with the new information and type layout is easier to read! I have been studying and teaching this book for almost 30 years! The truths are timeless and the Holy Spirit reveals more and more about the topics each year. I have seen students grow and mature in the Lord as a result of getting grounded in the Word. God bless you for this treasure. I actually bought this book for a young man searching more of the Lord. I was excited to get this particular book. I know that starting this Bible Study, he will receive wisdom and knowledge. He says he believe God, but just does not know the Word. I believe this wonderful "Bible Studies for a Firm Foundation" will change his life. I am looking forward to our discussions and his transformation! The Best Discipleship Manual by far! I typically purchase 10 firm foundations at a time. They are used as part of our core discipleship material. Every new convert receives a free discipleship manual and usually completes the manual in around 6 months. The material is absolutely excellent and has laid the foundation for speedy water baptisms and baptisms of the Holy Spirit. Our ministry has been able to baptize people in water and the Holy Spirit within days of completing chapters 4 and 5.